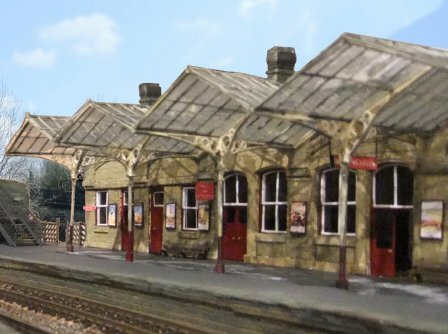 This website details the ongoing construction of my 00 gauge model railway, which represents my local railway station, Bakewell, the prototype of which is sadly now closed. The purpose of the site is to record the research, history and building of the layout, and to highlight the skills and techniques I learnt when scratch-building the structures, in the hope that it inspires others to have a go, or just to find a trick or technique to help them with their own modelling. Please feel free to look around, there are sections on the History and Location of the prototype, an overview of the layout, detailed step-by-step descriptions of the construction of various structures, and a gallery of photos showing the current state of the layout. There is also a comments page, where you are welcome to leave criticism, advice, or general thoughts about the site and the layout. I can't promise that I will be able to answer questions but I will do my best to reply wherever possible.